Donald Teague - The dean of American watercolorists. Donald Teague moved to California, first to Los Angeles, then Carmel. Donald supplied magazines with illustrations, but also pursued a fine art career, specializing in watercolors. Donald Teague biography provided courtesy of �California Watercolors 1850-1970� By Gordon T. McClelland and Jay T. Last. 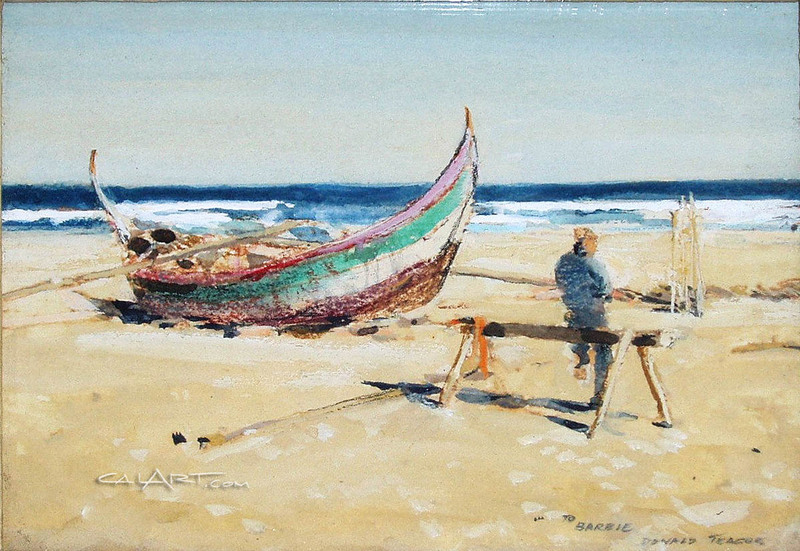 Member: National Academy of Design, New York Water Color Club, American Watercolor Society. 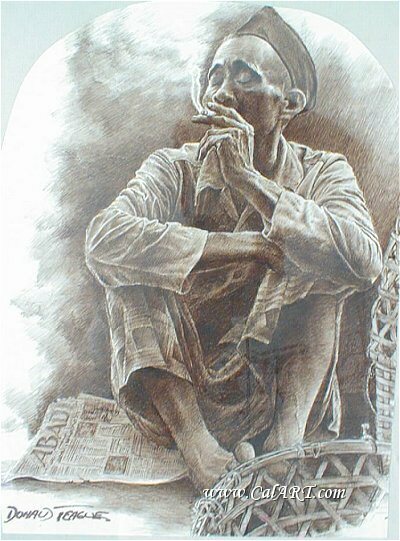 Donald Teague studied art with George Bridgman and Frank Vincent DuMond in New York City. 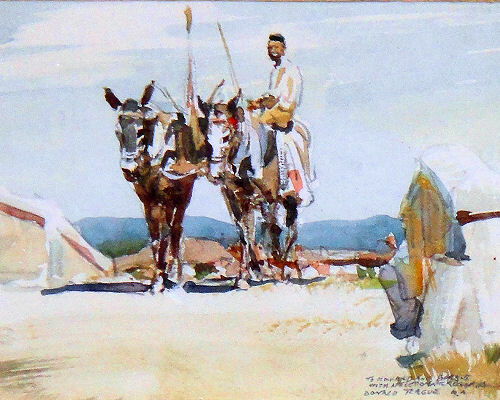 He served in the United States Navy during World War I and while stationed in England, received additional instruction from watercolorist Norman Wilkinson. Returning to New York City, Teague established a career as a commercial illustrator. He produced illustrations for The Saturday Evening Post and signed them Donald Teague. When doing similar works for Collier~ he signed them "Edwin Dawes". This was done because the two magazines were very competitive. In 1938, Teague moved to California, first to Los Angeles, then Carmel. He continued to supply the magazines with illustrations, but also began pursuing a career as a fine artist, specializing in watercolors. Both careers went well and by the 1960s, he was exhibiting nationally in museum shows and selling works at galleries in California, New York and Texas. 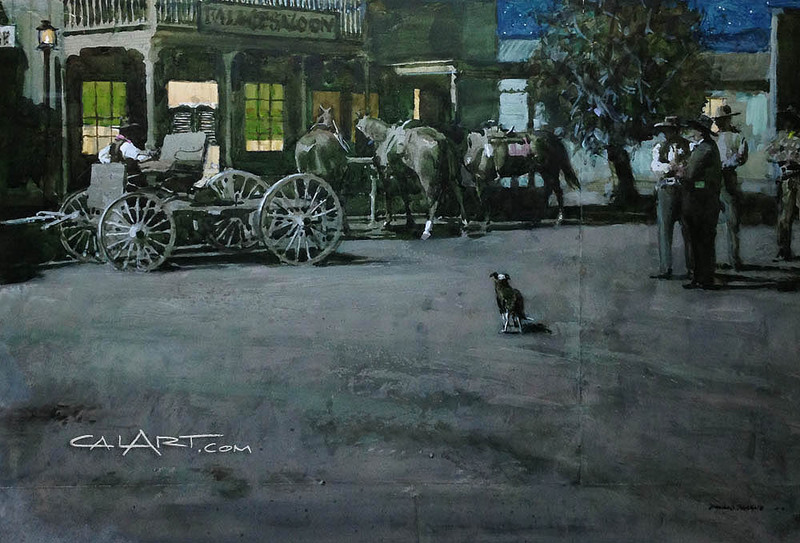 Donald Teague's style of painting did not vary a great deal between commercial works and fine art watercolors. Both featured a tight, representational style, with great detail. 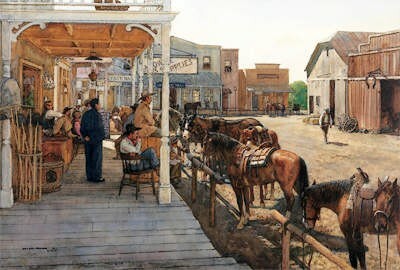 Although he painted a wide variety of subjects, the ones that depict western or cowboy scenes are the works he is best known for. Interview with Donald Teague, 1984.